ST. PETERSBURG, FL – USFCMS Associate Professor, Dr. Amelia Shevenell, was elected to The Oceanography Society (TOS) governance council by voting members of the international society. Dr. Shevenell will serve a three year term as the Geological Oceanography Councilor, replacing Dr. Richard Murray of Boston University. Dr. Shevenell will serve on the TOS Appellate Committee, which considers appeals made by the new TOS Ethics Committee. 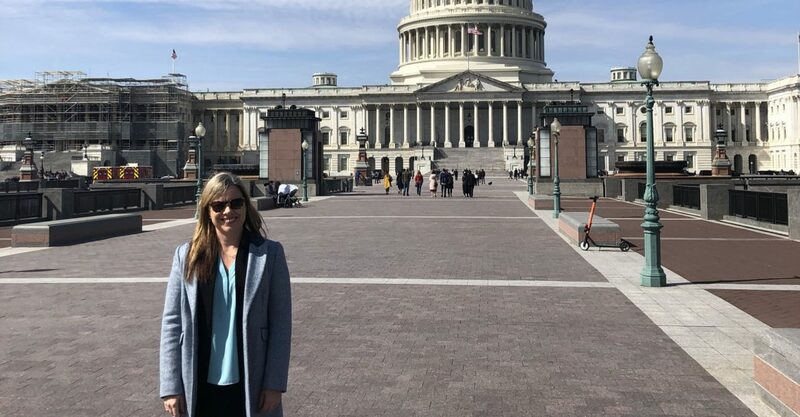 Dr. Shevenell’s first official duty was to represent TOS at Climate Science Day on Capitol Hill in March, 2019. Dr. Shevenell met with members of the House and Senate from Florida, Alabama, and Mississippi to 1. remind them of the scientific consensus that greenhouse gas emissions associated with human activity are the primary driver of ongoing climate change and 2. ask that Congress use scientific data and consult with national scientific societies and scientific entities in their districts/states when developing climate-associated legislation.